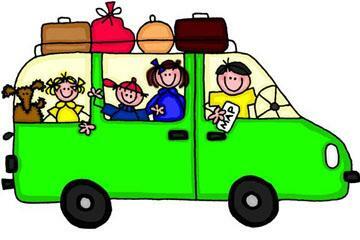 Growing up I remember being excited about the thought of taking a family road trip. My parents always did a good job at picking out different spots along the way that all of us kids could enjoy seeing. The older I get, however, the less I look forward to long distance driving and the more I want take airplanes to get where I’m going. There are even times where the impatience is so thick that even airplanes seem old fashioned, too slow, and inadequate. As I stopped to take a look at this attitude shift I tried to come up with the reason why it was easy to abandon my excitement for road trips. It quickly became apparent that my lack of love for long distance driving was due in large part to my expectation of luxury and convenience. Air Conditioned Seats- Being comfortable on a road trip is an important part of how much you enjoy the trip overall. With more and more car manufacturers offering models with air conditioned seats we can now look forward to more climate controlled drives. These seats have perforated leather which allows air to pass through and motors within the seats to blow your backs with cool, sweat eliminating air. Electronic Coolers- The super high end luxury cars like Rolls Royce and Maybach may be among the few who offer built in coolers, but there are now several different models of electronic coolers available that are very inexpensive. Most of these coolers plug into cigarette lighters to get their power, and they open up a whole new world of beverages and snacks. Now you can bring more of your favorite treats without having to worry about filling the cooler with fresh ice and draining it once the ice melts. Music Streaming- Bluetooth technology is amazing and it can really help your next long distance drive go by a lot quicker. There’s no substitute for awesome music while you’re out on the road and with a Bluetooth ready vehicle and portable music player you are well on your way to musical bliss. For example, you can set up a media center in your home where you store all of your music (as many songs as you can imagine) and then get an app for your smart phone that allows you to stream music to your phone and then play that music through your car speakers without a single wire. You will never have to struggle to find the CD that fell under the seat again. High Roller Special- If you have lots of money to spend you could consider something like BMW’s 7 series with a long wheelbase, or Mercedes S class sedan. Both of these cars are great example of just how luxurious a car can be. While driving these vehicles you’ll feel like you’re floating on a cloud. They have more than enough power to get you in and out of trouble, and the GPS system will be happen to take commands from you all day. A luxurious sedan can help you look forward to long road trips and possibly consider getting lost on purpose just to keep driving longer. Get a RV- RVs and Motorhomes are built to travel long distances and keep all the passengers happy. Some are even quite luxurious and come outfitted with hardwood floors, upgraded cabinets, and stylish furniture. With a RV, the idea is to enjoy the trip as much as you enjoy the destination. There are a lot of things you can do to make your drive more luxurious. The most important thing is to give road trips a fair shot again and choose the luxury upgrade that best suits your preferences.